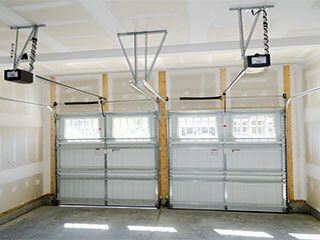 Home Our Garage Door Services Garage Door Opener Could Your Door Be Smarter? One would think that there isn’t all that much to talk about when it comes to the exciting innovations of garage door parts, but that would be far from the truth . These unassuming systems have been a part of our lives for so long that it can sometimes be difficult to think of them as anything other than a commonplace appliance. Our experts would like to share some of the more interesting and exciting developments in this industry. Read on to learn a little something about the technologically impressive developments that you can make a part of your system. Call them toys, gadgets or life changing technologies… whatever your way of thinking about these devices, they are still innovative marvels we would all love to see in our own homes. No two door openers need to be exactly the same, not when there are so many items that can be added to them, or for their better function. Take wireless operational panels for instance, portable devices that can be moved around the home and used to operate your door, monitor its health and also survey its surroundings to tell you if someone is waiting outside or trying to get in, whether you are in the garage, the kitchen or the bathroom, these devices can accompany you to make sure you don’t miss a beat. Let’s talk about opener receivers. These are the devices that make the communication between your control and opener possible, allowing you to open and close your door automatically. But honestly, we live in a time where we can do away with remotes altogether. Modern receivers allow you to pair your opener with your smart-phone or tablet, enabling it to act as a remote control, meaning you don’t need tons of loose clickers lying around your house and car that are prone to losing battery juice anyway. Of course if you’re not quite ready to do away with door remote, you can also opt for a universal ones that operates just about everything in your home. Pair it up with your garage, gate, TV, lights, curtains, computer or stereo system, anything that is vaguely smart and operates with a control! Why Settle for a Standard Model? All openers should come with security features like a reverse function and safety sensors. But what about a laser guided parking system to ensure you don’t back into your door? There are also amazing solutions for garage surveillance that use HD cameras and audio to give you a full picture of your system’s safety. So if you’ve grown bored with your standard opener, why not consider upgrading your current system with some of these neat devices? Interested in learning more? Just give our professionals at Garage Door Repair San Francisco a call - they'll be glad to run through additional add-ons and recent technology with you.